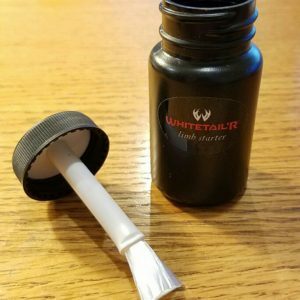 The Lick’N Branch™ kit, exclusively from Whitetail’R®, gives the deer the tool they need to communicate with each other throughout the fall season – Naturally. 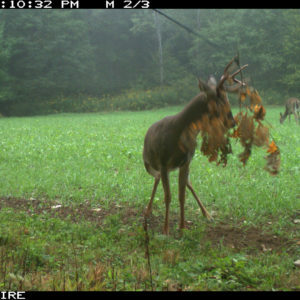 cam sets so you can take inventory of your whitetails or for establishing a branch and scrape near your stand site. One thing is for sure, all of Mother Nature’s whitetail scrapes start with an active licking branch. Now Build your own set. The Limb Starter, exclusively from Whitetail’R®, gives the deer the tool they need to communicate with each other throughout the fall season – Naturally on a branch. One thing is for sure, ALL of Nature’s whitetail scrapes start with an active licking branch. Now Build your own set and let our limb starter get it going.